On Tuesday, Yahoo chief Marissa Mayer told investors that Tumblr would likely make more than $100 million in 2015. In our series this week, we learned that the social platform's millennial-leaning user base has grown 33 percent since Mayer and her team purchased it for $1.1 billion. And we examined how mobile advertising will be key if the company is to hit predictions like the one she set yesterday. "More than 260 of the world's top brands have a Tumblr presence," Mayer said. Whether those marketers are seeing a strong return-on-investment remains to be seen. But for now, let's at least explore what some of those brands are up to, as New York-based Tumblr gave Adweek an exclusive look into how several paying advertisers use the social network. Tumblr charges a cost-per-engagement (CPE) rate for Sponsored Posts, an offering for Web and mobile marketers that includes Yahoo.com properties in addition to Tumblr's. ("Engagements" entail likes, reblogs, clicks, etc.) Targeting options entail gender, location and interests. Brands pay for every follower picked up on the social platform when it comes to the mobile- and Tumblr-only Trending Blogs. Two-year-old Sponsored Radar ads are Web- and Tumblr-only, while entailing a cost-per-thousand (CPM) pricing model. And then the one-month-old Sponsored Dot promos are negotiated at a flat fee. Now, in addition to AT&T, JCPenney and Starbucks, here are seven recent Tumblr advertisers. The major brands' graphics interchange format (GIF) efforts below are not the ads themselves. But the GIFs showcase how marketers are combining Gen Y-minded creativity with the paid promos you've seen on the right. For its ongoing #Priceless effort, MasterCard kicked off its Tumblr presence mid-summer while supporting its partnership with Stand Up to Cancer. In the ongoing campaign, the credit card has commissioned food artists to create still images, animations and Vines—which have been embedded on the platform—encouraging users to #GetTogether with friends to dine out. For every $10 restaurant transaction, MasterCard is donating a penny to the cancer research org. And this week, MasterCard re-skinned its Tumblr page to support its Travel pillar with the tagline #OneMoreDay. 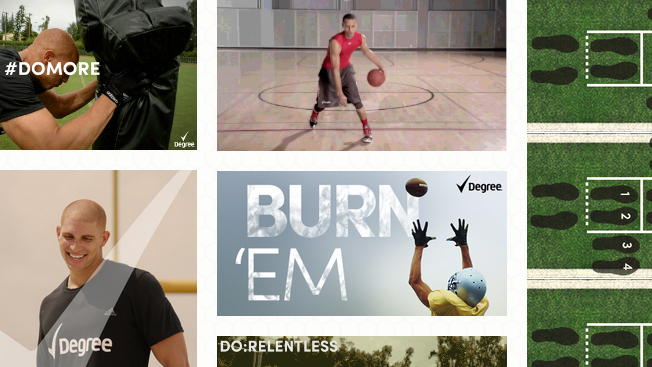 Earlier this fall, the drinks marketer started a Tumblr that targets sports enthusiasts with pictures featuring athletes, vintage images and GIFs. One of the better GIFs features Erica Wilson, a high school basketball player who lost her ability to walk due to transverse myelitis. But Wilson continued to play in a wheelchair basketball league and eventually helped her team win a national championship. Showing how Tumblr can be combined with other social platforms such as YouTube, Gatorade's video is approaching 1 million views since going live two weeks ago. The automotive sector seems well represented on Tumblr. BMW is focused on owners of its M Series cars and asking them to submit photos, filling the blog with 100 percent user-generated content (UGC). (The brand has a second Tumblr that's more a product of its marketers.) And Mini Cooper is documenting a UGC endeavor called Mini Takes the States, encouraging current Mini owners to partake in a road trip from San Francisco to Boston and post content along the way. It's worth noting that these two automakers' Tumblrs resemble normal Web sites compared to brands in other categories. Degree's marketing has long been consistently sports-minded, and the deodorant's marketers take a similar approach via Tumblr. For instance, they extended their sponsorship of the U.S. Men's National Soccer team over the summer on the platform. Though as the GIF here clearly indicates, it's all about American football now. The clothier, according to Tumblr reps, often employs college-aged photographers to produce imagery for the platform. The brand's lifestyle-focused photos most recently highlighted the transition from summer to fall while hawking stylish shawls, hats and jeans. Aeropostale's Tumblr appears to capture that millennial-aspirational style of marketing of which Levi's and Taco Bell also strive to accomplish. This skincare company is attempting to create a fictional world on Tumblr that looks a little like Hawaii but with a shea buttermilk waterfall. The brand's messaging centers around combating life's duller moments while utilizing, of course, its products. Like various millennial-minded marketers on the platform, its efforts lean on fun imagery. Hey, who doesn't like coconuts? This marks the last installment in Adweek's three-part series on Tumblr's evolution since being acquired by Yahoo. Our first article looked at how the social site has retained its coolness since the purchase. The second piece dove into the platform's potential with mobile ads while assessing important concerns from marketers.